While it may not have the striking skyline of nearby Downtown Seattle, Bellevue is filled with stunning areas of natural beauty. Located in King Country and along the shores of Lake Washington, this charming city is becoming an increasingly popular holiday hot spot. Cheap flights to Bellevue and affordable Bellevue hotels all help to make it an excellent holiday destination for travelers who want to soak up some stunning scenery while still being close to the hustle and bustle of the Emerald City. 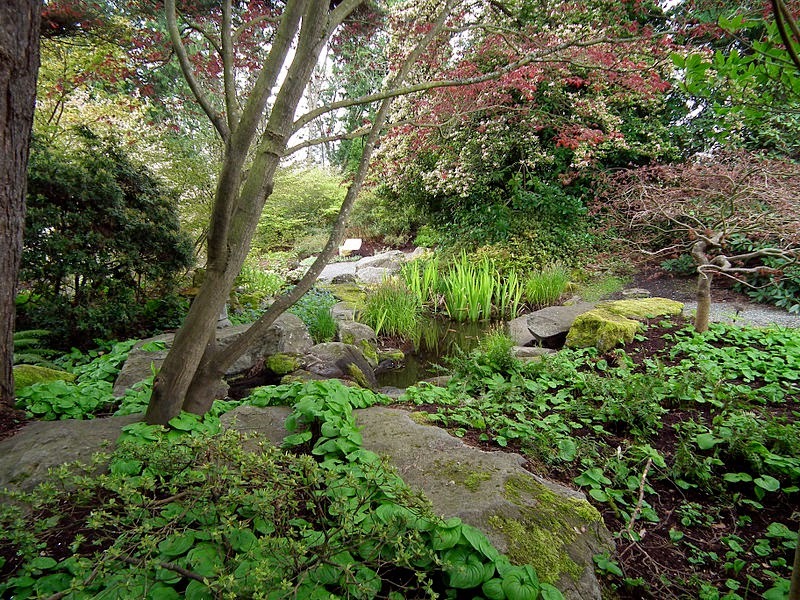 The serene Bellevue Botanical Gardens feature beautiful manicured lawns, hidden woodlands, alpine rock gardens, and natural wetlands. With over 53 acres to explore, this park is perfect for roaming on a lazy summer's afternoon. The gardens also incorporate the latest technology, such as interactive markers which let visitors learn more about parks plants and wildlife by scanning the markers with their cell phones. An on-site visitor and education center reveals more about the gardens and how they contribute to a health ecosystem. Admission to the botanical gardens is free all year round, and more information on opening times can be found on their website. Yet another reason why Bellevue is a top draw for nature lovers is the Mercer Slough Nature Park which has meandering trails amid marsh grasses, woodlands, and Kelsey Clark Creek. It is also home to Winter's House, a restored mission revival style building that is the only property in Bellevue to be listed on the National Register of Historic Places. During blueberry season visitors are able to pick their own berries form 16 acres of blueberry fields. Guided canoe tours and free guided nature walks are also available. More information on what's on during your visit can be found here. Enjoying a prime position on the banks of Lake Washington is the pretty Newcastle Beach Park. Visitors can relax on the short stretch of golden sandy beach or take a dip in the refreshing waters of the lake. As the largest park in the Bellevue area it offers a host of convenient facilities such as parking, restrooms, a children's play area, and covered picnic areas. Lifeguards are also on duty during the summer months, which help to make it a safe place to take the whole family. While Mercer Slough Nature Park and Newcastle Beach Park are both in the outskirts of Bellevue, Downtown Park is right in the heart of the action. This well-kept park features a large grassy area which is perfect for a picnic. A circular running track is great place to get some exercise while admiring the views of the lake and waterfall. Special events are held in the park throughout the year, such as outdoor summer movie screenings and a 4th of July Festival. With endless trails to explore, these parks and gardens will be sure to delight nature lovers of all ages. Enjoy your Bellevue vacation!